If traffic jams and high gas prices have made driving more like work and less like fun, maybe you need a little time behind the wheel where fun is the only object. A go-kart track could be just the ticket and not that kind of ticket. 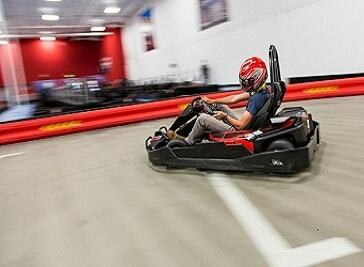 The Denver area offers go-kart tracks for all tastes, from gasoline racers that blaze up to 120 mph to bunny-slope electric karts that are more like a walk in the park. On a gorgeous early-spring Sunday afternoon at Adventure Golf and Raceway in Westminster, the crowd was sparse a far cry from what the track will look like when it gets up to speed in warmer months, said attendant Derrick Rivas, who was starting his second season there. The cars were lined up and waiting, neat and shiny and covered in logos ranging from NAPA and Goodyear to M&M’s and Target. A few of the local facilities are part of entertainment complexes; others are dedicated tracks. Today’s go-kart race tracks are not at all what you remember from your childhood; they go up to 55 miles per hour and often require full racing gear and safety training. These go-karts are fast, extreme and tons of fun. Many of today’s tracks have age-appropriate karts, with special lessons and options for younger kids. No matter your age or experience level, get ready, get set and drive at the Front Range’s best go- kart tracks. Go-karts can provide fun and action for those just looking to have a good time and for those who crave speed and adrenaline. The Denver area has plenty of go-kart tracks to suit different preferences. There are tracks for competitive racing enthusiasts and tracks for those who just want to have fun. IMI Motorsports Complex is America's best entertainment venue. They offer 6 Motor sports Tracks. An asphalt course designed for precision driving and top speed on Race Karts, SuperMoto and anything else you care to challenge it with. Located just 10 minutes north of downtown Denver, their upscale kart racing facility is designed to provide a first class entertainment experience. 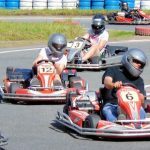 They offer Arrive and Drive racing, kids karting, kart training classes and more. After racing, celebrate with food and drinks in the Trackside Tavern, featuring a full bar and great track views. They’re also the perfect location to host your next corporate event, birthday or bachelor party, or any other special occasion.